Saturn 12 Oktober 2003, 07:06. 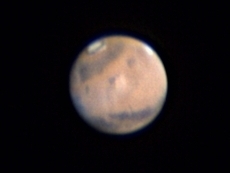 Atmosphere 5, drifting clouds, dew formation on scope, bluesky. 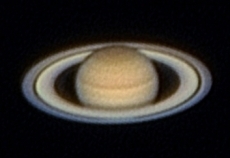 AVI files aquired and processed using VirtualDub, then stacked and optimized using Registax Final image processing (unsharp masking) was performed using Cadet.